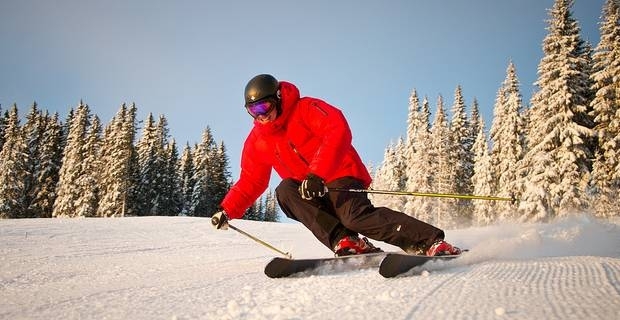 Skiing is a very popular pastime and it continues to grow in popularity. Many people in the UK head off to places like Bulgaria, Andorra, France or Italy to find some great places for skiing. However Scotland is also a good place to go, and skiing holidays in Scotland can be just as enjoyable as those further afield. One problem with skiing holidays in Scotland is that skiing in Scotland relies heavily on perfect weather. It is difficult to plan ahead because slope conditions tend to be unpredictable throughout the season. This means that skiing in Scotland is most popular with people living nearby - people who can take off at short notice when the slope conditions are good. There are five main places for skiing in Scotland: Nevis range, Glencoe, Glenshee, the Lecht and Cairngorm. If you visit ski.visitscotland.com you can find out the current snow conditions for all of these slopes. It will tell you run conditions, weather conditions, road status and lift status, and also useful contact details for the centres. The site also tells you about any events that the centres are holding and what accommodation is available near to the ski zones. If you are a beginner to skiing, the Lecht is probably the best place to go. The runs all well suited to beginners and that's why they are a popular choice for family days out. You don’t need to bring any equipment as you can hire everything there. You can also get lessons to help you along if you aren’t one for diving straight in! Skiing is great fun. It gets you outdoors, is good for you and you can have fun with the family too. Thanks to skiing holidays in Scotland, you don't have to go far or spend time and money travelling abroad to enjoy skiing. Just remember not to book too far in advance in case there is bad weather or unsuitable ski conditions.